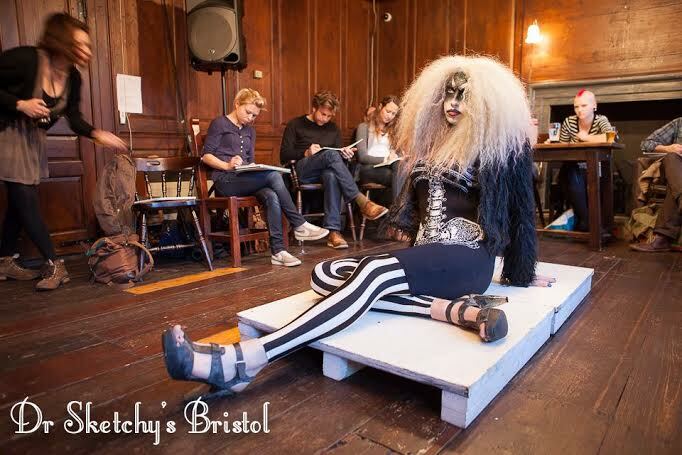 Dr. Sketchy’s Bristol Celebrates First Birthday! 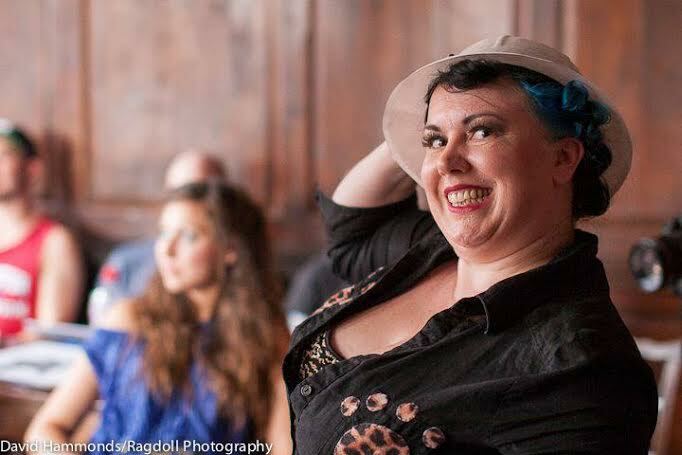 Old school glamour, captivating cabaret and local circus artists will all join Dr Sketchy’s Bristol in celebrating it’s one year anniversary, with a one off special event hosted at Pink Kitten Dance School in July. 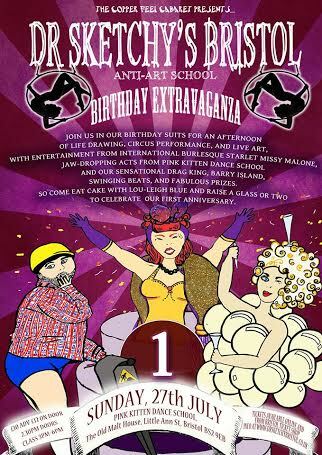 Dr. Sketchy’s Bristol Is One! Dr Sketchy’s attracts a dynamic and varied crowd of artists, from graffiti fans, to fine artists and enthusiastic first-time scribblers, producing a giddying array of different styles. Some use pencil, others ink, chalk, acrylics, sometimes even iPads. You can see some of the fabulous work produced on the Dr Sketchy’s Bristol website and Facebook pages. Each class is a three-hour, fun-filled session featuring fantastic costumes and the opportunity to see live performances from some great name on the UK’s alternative cabaret scene. This entry was posted on June 20, 2014 by coochiecrunch in Coochie Crunch Blog and tagged Bristol, Dr. Sketchy's, Lou Leigh Blue.